I always love the idea of brunch. 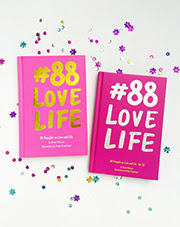 To me, brunch is a way to spend a slow weekend morning, with a long and nice talk with friends, family, or boyfriend. We went out very early on Saturday morning to check something for R's car insurance. 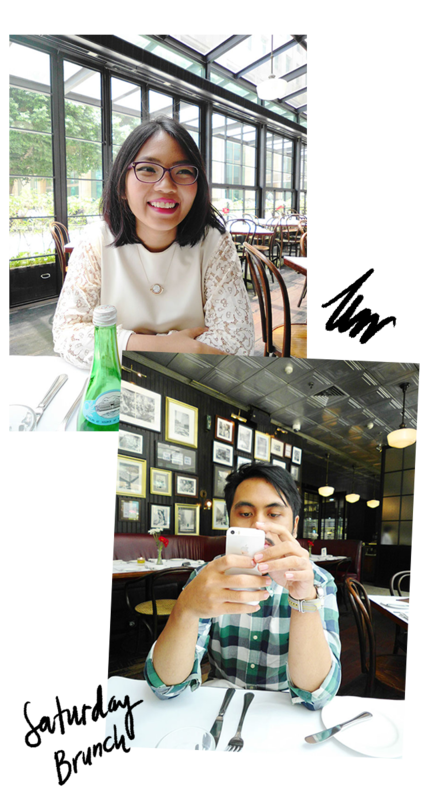 As we finished everything by 10.30 in the morning, so we decided to drive to Senayan and have brunch at Union. Honestly speaking, I've never been to Union before. Even though I used to work in the building next to Plaza Senayan, which is only a walk away from Union, but yesterday was my very first time to sit there. Usually I had their cakes for takeaways (their cakes are one of the best in town) or headed to Monolog or De Luca as my first options. I heard their pastas are good, but I had no appetite for big portion of full carb that early. 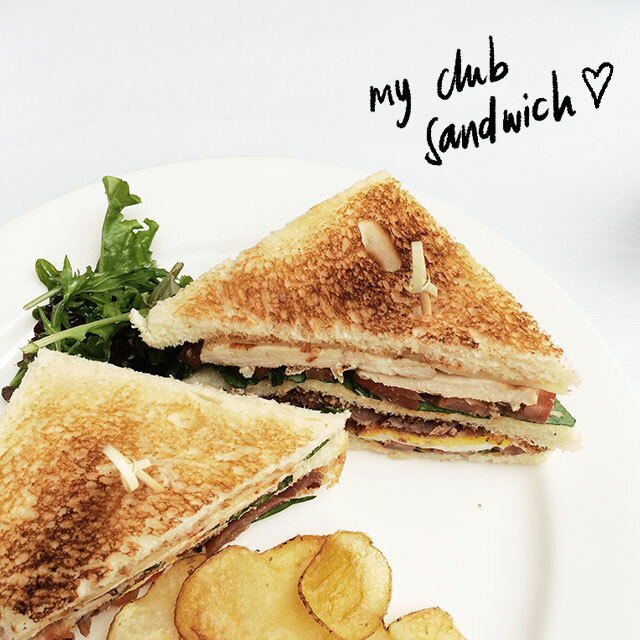 So I ordered their club sandwich instead. I went for their grilled chicken and beef bacon club sandwich, it was divine and came in a huge portion. Layers of lettuce, fresh tomato, sunny side up egg, beef bacon, bread, lettuce, tomato, grilled chicken, cheese and finally topped with another layer of bread, are combined together purrrrfectly in every bite. I had difficulties to munch everything in one bite, but I finished everything instantly as I was starving and it was so delish! Union was quite calm at that time, just perfect to have a nice talk over brunch. I love how the room is very bright with natural light, but not too bright as the sun climbed up by the noon. I should've went there since a few years ago hahahaha.